What do police officers look for when determining whether to pull someone over for drunk driving? What is the officer looking for during the initial stop? Police officers are trained to note the following "symptoms of intoxication" on their report:. Inability to follow directions or to "divide attention"
What are "field sobriety tests?" In theory, Standardized Field Sobriety Tests (FST’s) are designed to simulate and evaluate your “divided attention” abilities; a critical skill when driving a motor vehicle. In reality, SFSTs are not really tests at all but are ridiculous gymnastic events that will usually result in your failure and the “results” will be presented to a jury or judge at the time of trial. The “tests” are highly subjective, are almost never conducted properly by police and are conducted under abnormal conditions. The FST’s are NOT scientific and there are many people who, for many innocent reasons, cannot perform these tests to the officer’s satisfaction under any conditions. Additionally, because these tests are judged by negative scoring techniques (i.e. you get points deducted if the officer thinks you did something wrong but you do not get points added if you did something right), it is possible that you could do everything right and still fail simply because the officer thought you performed the tests slowly or that you started the tests before he/she was completely finished explaining what to do. The “Horizontal Gaze Nystagmus” test where the officer will position an object, usually a pen or his/her finger, 12-15 inches away from the subject’s face and moves the object from side to side while watching the subject’s eyes for the ability to track and/or the involuntary jerking of the eyeball which is supposed to be an indication that the subject has consumed some amount of alcohol. Among the several problems with this test are that a large percentage of society experiences nystagmus naturally or may have it as a result of various medical and physical disorders or prescribed or over the counter drugs; the test requires that the officer use precise distances and angles in order to assure it is conducted properly and no officer ever uses any type of measuring devices (i.e. rulers or compasses) to accurately measure what they are testing. One additional test that does show up more frequently is the “Portable Breathalyzer Test” known as the PBT test. This is the portable breath test and is supposed to determine the presence of alcohol. It is an extremely dangerous test because it is not accurate but the courts will allow it to establish the content of your breath alcohol and thus, your guilt of the charges. THIS TEST IS NOT THE BREATH TEST THAT IS REQUIRED BY THE IMPLIED CONSENT LAW and although the police are supposed to tell the subject that, they rarely do. You may (AND SHOULD) refuse to take the roadside breath test. What should I do if I am asked to take a field sobriety test? According to the DUI / OVI laws of the State of Ohio, you have the right to refuse to submit to any “field sobriety testing.” If you are asked to walk and turn, stand on one leg, put your finger to your nose, balance in any way, try to gaze at an object or anything of the sort, or to take a roadside breath test, politely refuse. Although the fact of your refusal to perform a test in the field may be admissible at trial, an experienced attorney will know how to deal with the refusal. Further, arguably, the mention of your refusal to take the tests indicate that you were NOT drunk because you had the clearness of mind to make an educated decision not to do so. Suffice it to say that your response to the officer is that you will not agree to submit to the tests. If the officer asks “why not?” your response is that you want an attorney present before you take any tests so that you can discuss your “concerns” about the tests. (This leaves the reasons for not taking the test wide open at the time of trial: i.e. was one of your “concerns” an old football injury to your knees? Were you tired from a hard day’s work? Did you have the flu? Do you suffer from migraine headaches that may be activated by strobe light conditions such as the police flashers? The “concerns” are endless and you have a right to talk to counsel before taking the roadside tests! It is better to develop the reasons at trial than try to think of one at the arrest site! If the officer asks you what your "concerns" are, you should NOT tell him/her. Just say that you would prefer to discuss them with an attorney. If for some reason you have already taken one or more of the FSTs, you need an experienced drunk driving attorney like Joe Burke at 440.835.8200, who knows how to counteract the damaging evidence that the police officer will produce as a result of those tests. Proper cross-examination of the officer can usually help a jury to understand the faults and problems with the tests and the manner in which they are given and that just because a police officer says so, it does not mean that a person was driving drunk. Should I take the breath test at the police station? PLEASE NOTE … THE BREATH TEST AT THE POLICE STATION IS NOT THE SAME AS THE ROADSIDE BREATH TEST. YOU CAN REFUSE THE ROADSIDE BREATH TEST WITHOUT RECEIVING ANY KIND OF PENALTY FOR THE REFUSAL. If the officer decides to charge you with a drunken driving offense, you will be placed under arrest and taken to the police station where you will be asked to take a breathalyzer test to determine the quantity of alcohol in your system. (In rare occasions, a blood or urine test may be requested instead of the breathalyzer.) Ohio’s Implied Consent Law requires all drivers to submit to a chemical test if the officer believes you are under the influence of alcohol, drugs or both. 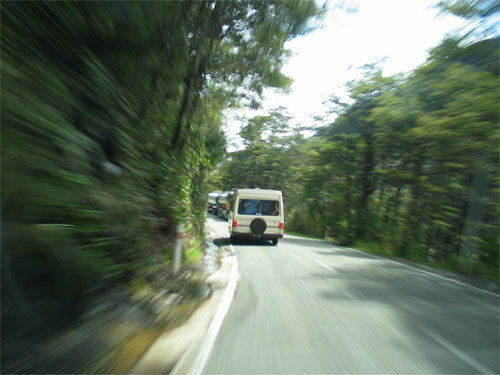 While you have the right to refuse to submit to the breathalyzer, blood or urine test, under the Implied Consent Law, you will receive an Administrative License Suspension (“ALS”) (usually one year for a first refusal) and, if you have a prior DUI or those with a commercial driver’s license (“CDL”), refusal can lead to additional or more severe charges. If you agree to submit to a BAC / blood alcohol content test and you test over Ohio’s designated limits, and you are not driving a commercial vehicle or a repeat offender, your driver's license will be automatically suspended for a minimum of 90 days. If you refuse the BAC test, your license may be suspended for one year. This is true even if you are found not guilty of the DUI charge. The fact of refusal can be introduced into evidence as "consciousness of guilt." Of course, the defense is free to offer other reasons for the refusal. Thus, the decision is one of weighing the likelihood of a high blood-alcohol reading against the administrative consequences for refusing. By refusing a BAC test, particularly when you are likely to have a high reading, you deprive the state of potentially compelling evidence against you. 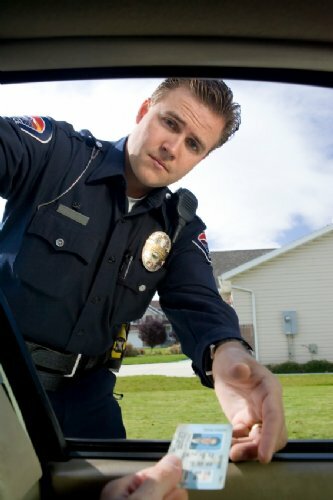 You should also be aware that some police officers will take a request to speak to an attorney at the time the implied consent breath test is offered to be a refusal. You can ask the officer if you can call your attorney but don't argue with him/her if they say "no."